forward by Archibishop Desmond Tutu. now imprisoned anti-war activist, Kathy Kelly. Memory Lane: Ibrahim Gonzalez Interviews Joe Franklin. 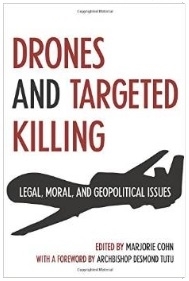 and the immorality of drones using Just War principles. and Harry Van der Linden.